Antwerpen. 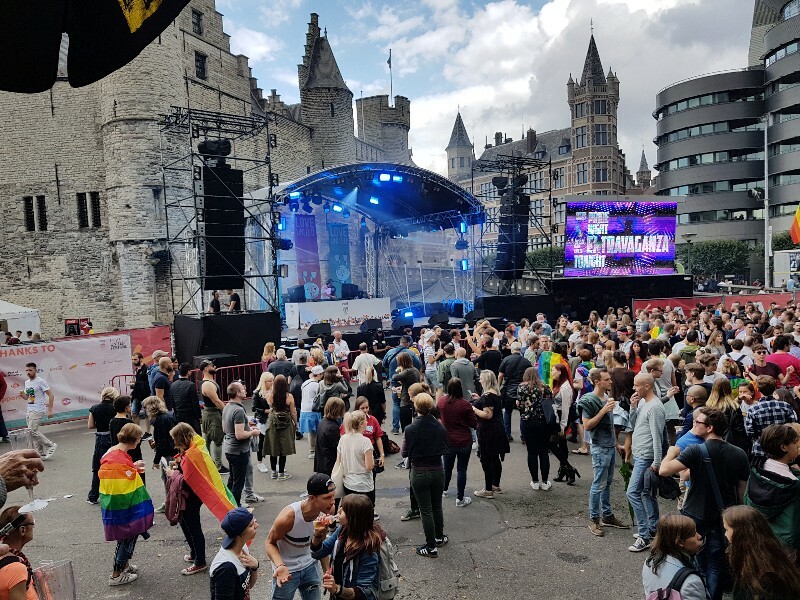 At the Pride Parade at Antwerp Pride 2017 there were no fewer than 100000 visitors and participants. There were more participants present than last year, preferably 60 groups. Most important was the flowertruck. Antwerp Phantoms as a recognized Antwerp sports club were present in the parade together with other city clubs. The board of Antwerp football club was also present. (The players could not be present due to competition in Genk Sunday). 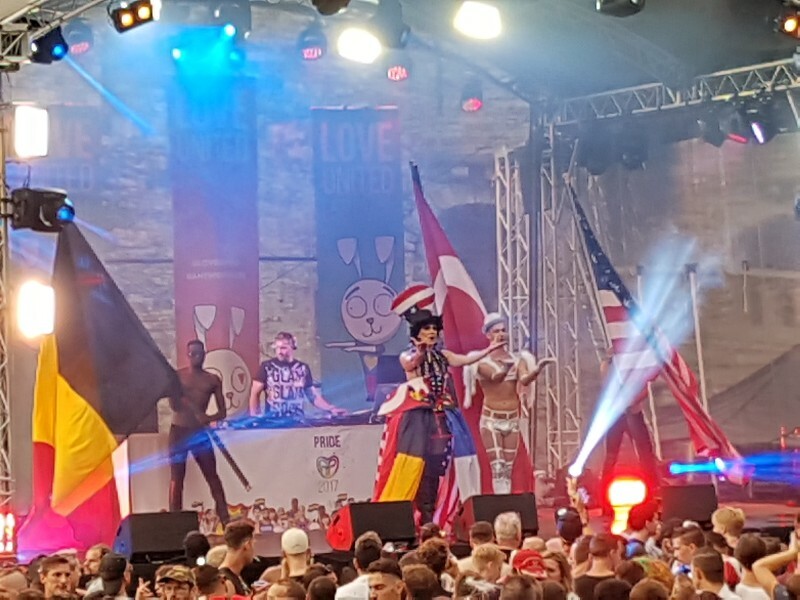 For the first time, a delegation of people with HIV at Antwerp Pride.Sensoa supports the comming-out of people with HIV with 'Get HIV out of the closet'. For example, an initiative has been put in place at Antwerp Pride Parade. The Love United Festival at Steenplein could count on many festive visitors. At the Love Stage were performances of Trixx, Beloved and HIM. At the United Stage there were the Drag Queens United, PADAM Tea Dance and Le Zoo.